Merely providing valuable information to your website visitors is not enough these days. You’ll also want them to engage actively. To achieve this, you’ll have to provide ways for them to interact. Today we will show you a one-stop shop named GetSiteControl for all your interaction needs. The first thing that crosses your mind when it comes to user interaction might be the inevitable contact form. If you think a bit longer, you might also find the collection of email addresses, e.g. for newsletter purposes, worthwhile. And it is likely that at least one of the two already sit on your website somewhere trying to serve you well. 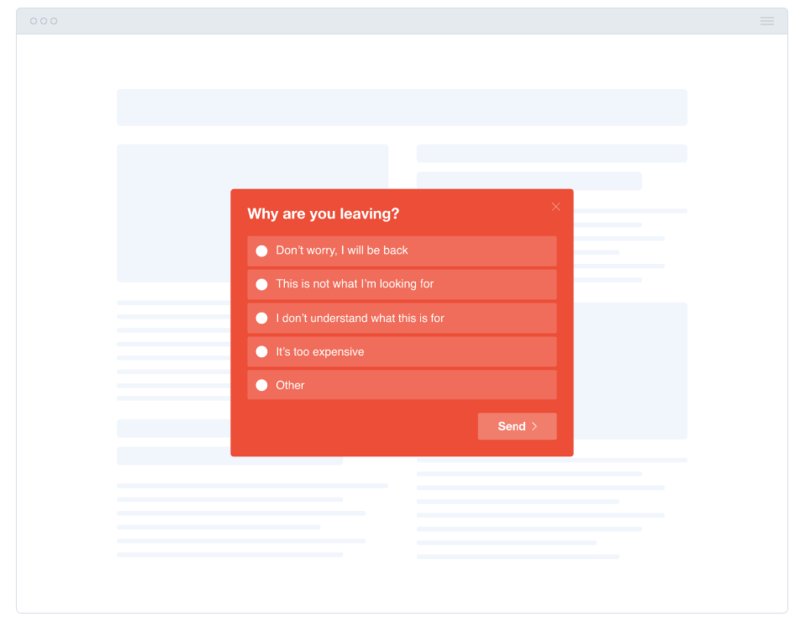 The contact form might send you emails from the site to your inbox, while the subscriber form will likely be attached to one of the bigger newsletter providers in the likes of MailChimp or AWeber. If you think you got everything settled that way, think again. Is that really all you need? Let me throw some cues at you. Think of the EU cookie notice. How do you settle that? What about new posts, products, updates or changes? Wouldn’t it be an excellent way to announce them prominently in the site header? So you run a discount. Let your visitors know about it without making them search. The visitor is just about to leave your site. Wouldn’t it be good to catch him with an offer he cannot refuse before he’s gone? Or at least ask him a few questions to help you improve? Don’t bury your social profiles somewhere in the textual desert. Use a prominent follow widget to trigger engagement. You could also implement social shares this way. Have you ever thought about providing online support or even live chat that integrates with your Slack? Chances are that customers would love that. As good as all of this may sound, wouldn’t it be tedious to find solutions for all these use cases and a quadrillion of service providers invade your site? Yes, it would. But there is a simpler way. The fairly young Cypriotic company by the name of GetWebCraft offers a solution that integrates all of the above, including contact and subscriber forms, including a whole lot of third-party integrations into one product. I am talking about GetSiteControl, a hosted solution for all your interaction needs. All the widgets run smoothly on mobile also. Lately, Google imposed restrictions on mobile popups to only be allowed in “a reasonable size.” GSC took that hint and implemented an option to let you limit your widget size to 30 percent of the screen real estate on mobile. They definitely care about the success of their customers. 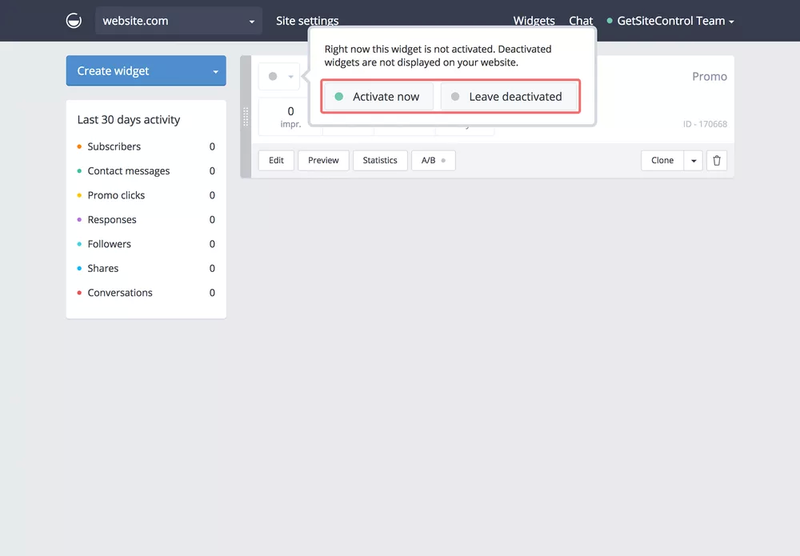 Once you connect your site and GetSiteControl, all the heavy lifting will be done from the GetSiteControl Dashboard. Your site is solely the display for all the widgets you create. Your command central is the mentioned Dashboard. All the various widgets that collect user data for you save that data in spreadsheets within GetSiteControl. These spreadsheets are available for download in CSV which is the most common data exchange format I know. Even more convenient than that is the wide range of third-party integrations that GetSiteControl (GSC) offers. Instead of saving all the data in spreadsheets and handling them one way or the other later you can as well have GSC store the data right where it finally belongs. Are your newsletters served by MailChimp? 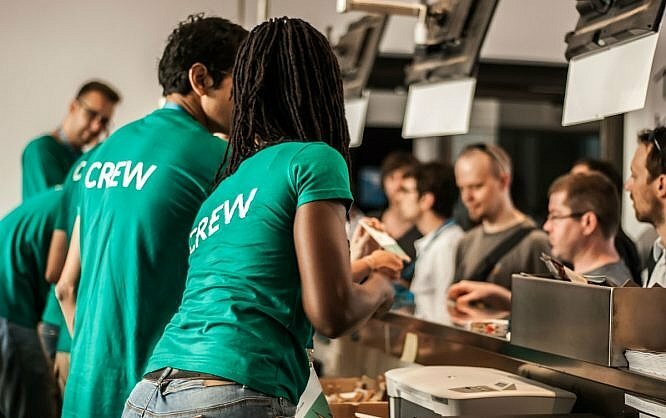 Connect GSC with it and have it store addresses directly there. Are you using Slack anyway? Connect Slack and GSC and offer Live Chat or online support right from within your preferred chat solution. Creating and configuring a widget is easy. All the steps are more or less self-explanatory, and even the behavior settings (triggers and such) are comprehensible without needing a degree in computer sciences. Now you are in edit mode with the widget being previewed on the right side of the editor window. The left-side options allow you to alter the visual appearance to your liking. A tabbed navigation lets you change to other options such as the behavior of your widget. But let’s stick with the tab “Appearance” for now. This tab lets you modify the colors freely, align them with a color theme or the given website colors. You also define the position of the widget from here. Users of the paid version can add a custom image. 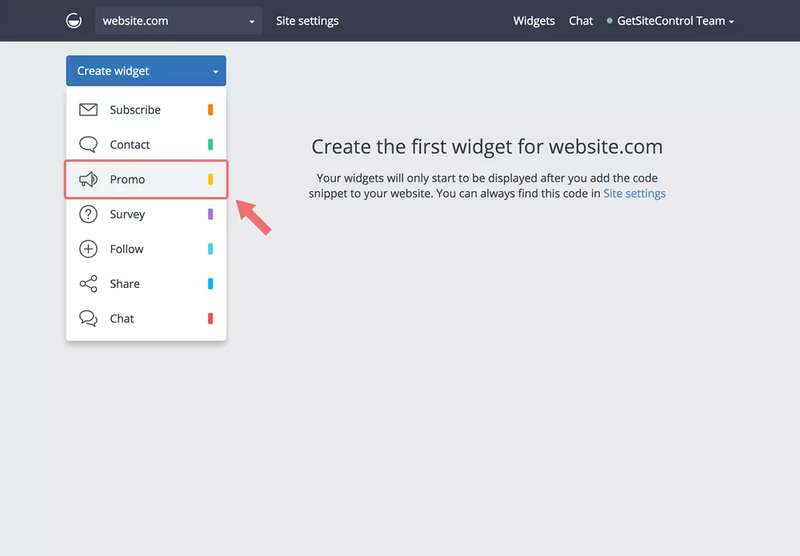 The tab “Content” gives you access to the textual content of your widget. 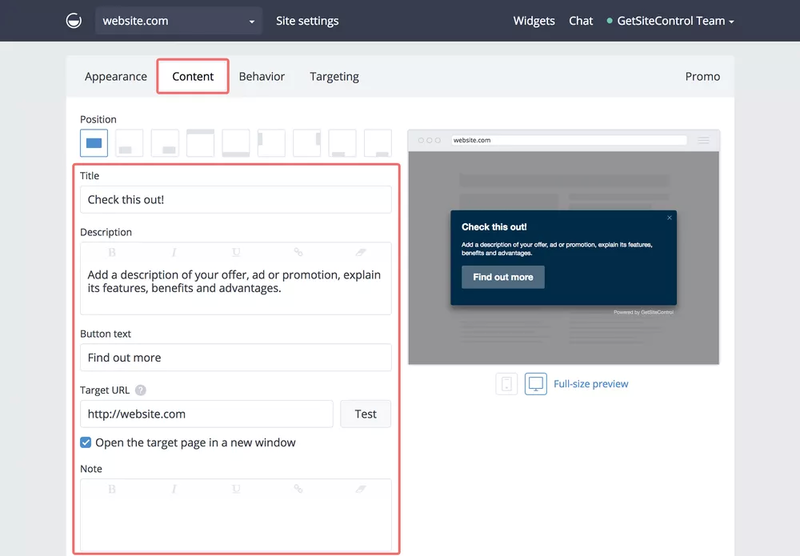 Specify all the wonderful marketing snippets and add your target URL. After that step, your widget is generally ready to go. 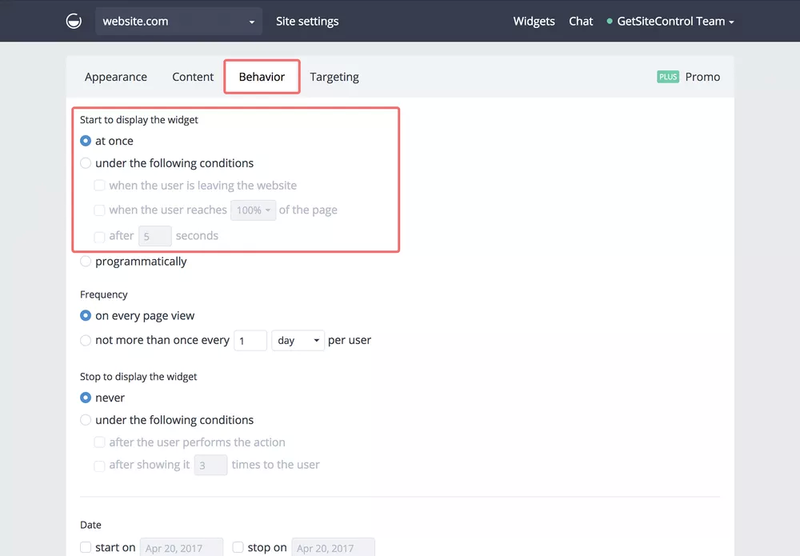 Yet, it is likely that you do not want the widget to fire off at every page view, so let’s look at the tab “Behavior” to round off your first widget. Figuring out the consequences of each of the settings in “Behavior” is not rocket science either. From here you finetune the conditions that have to be met for a widget to get displayed. These include the time when the visitor is about to leave your page or after he has reached X percent of the page scrolling through it as well as some more. Note, that these behavior settings are available only in the paid plans. After having set the desired behavior, return to the main screen of the Dashboard and don’t forget to activate your newly defined widget. 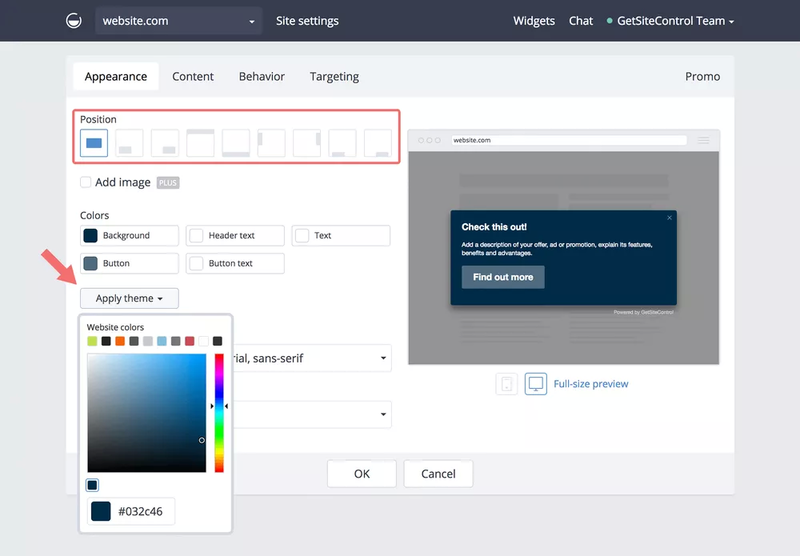 Now explore the other widgets to outfit your website with a full set of interactive features. GSC has a whole slew of helpful tutorials to guide you even through the deepest waters. GSC is available in three flavors. You can choose between the Free, the Plus and the Pro plans. The Free plan is free forever with no strings attached but comes with some limitations. The Plus plan is perfect for mid-size websites that are maintained by a single administrator, and the Pro plan is the one for sites that are run by whole teams where each team member needs individual access to GSC’s widgetry. Let’s sort this out in a little more detail. The smallest plan allows you to run GSC on one site with you as the only administrator and not more than 50,000 monthly views. 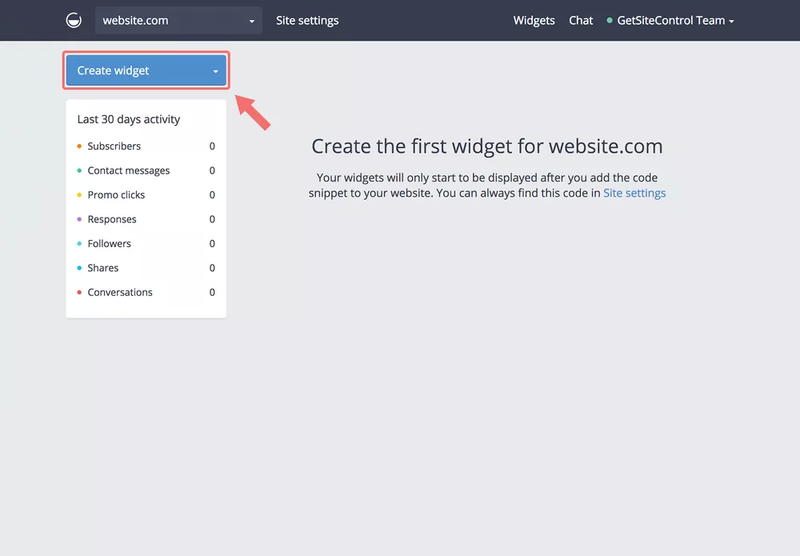 Still, all the widgets are available, but you cannot connect them to third parties such as MailChimp and others. You will have to live with the GSC branding and link back to their site, and you will not be able to use triggers such as Exit Popups and others. The Plus plan might be the perfect fit for most freelancers. The Plus plan comes in at 19 USD for one site and 500,000 monthly views. All the features including integrations and triggers are in place, and you can add sites as needed. That way you could control all your clients’ sites from within the same dashboard. Adding sites makes the individual site fee cheaper. From three sites up you pay a monthly 13 USD per site. The Pro plan takes out the bandwidth restriction entirely and adds the possibility to assign more than one user to an account. With individual usage rights, you could set up teams for individual sites while still maintaining all sites from the same place. The Pro plan sets you back 29 USD per site (20 USD from three sites up) and 9 USD per user. This plan marks the top end of the pricing table. To put it frankly, you cannot go wrong with GetSiteControl. For the given range of interactions, prices are more than fair. Besides that, the service is pretty robust. I haven’t experienced any outages or other errors. The feature set leaves not much to be desired and is definitely covering more needs than you thought you had. The improvement of your site cannot be prevented, as hard as you might try. I recommend you check the service for yourself. As you can always switch back and forth between all of the plans, just start with the Free one, create some widgets and see where this will lead you. I would bet it is the road to success.